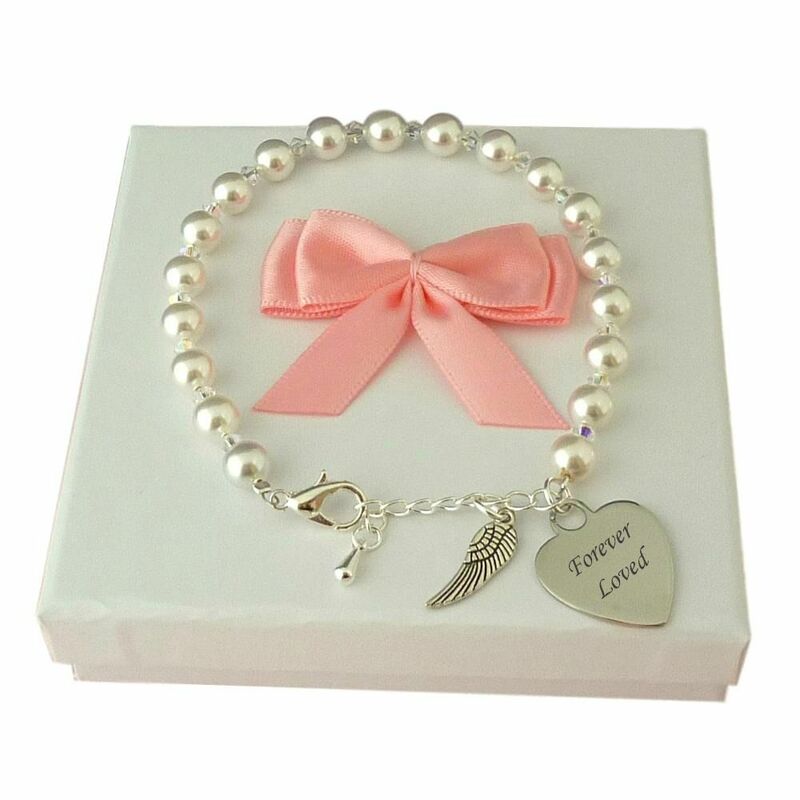 Pearl Bracelet with Angel Wing Charm and Personalised Engraving on Heart Charm. A lovely, custom made, personalised sympathy gift or memorial bracelet to keep and to treasure. The bracelet is size adjustable for a perfect fit. 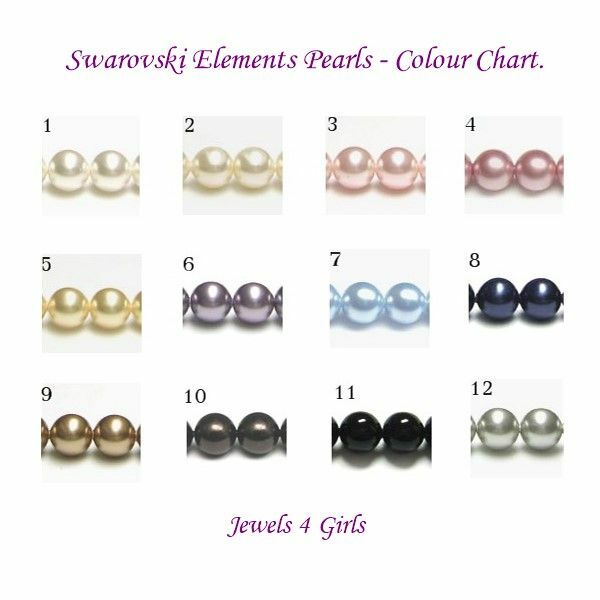 Made with a genuine Swarovski pearls in your choice of colour with clear sparkly Swavoski crystals between each pearl. Featuring a lovely Tibetan silver angel wing to hang alongside the heart. The engraved heart is stainless steel which is bright shiny and hardwearing. Any engraving of your choice is included on the charm! 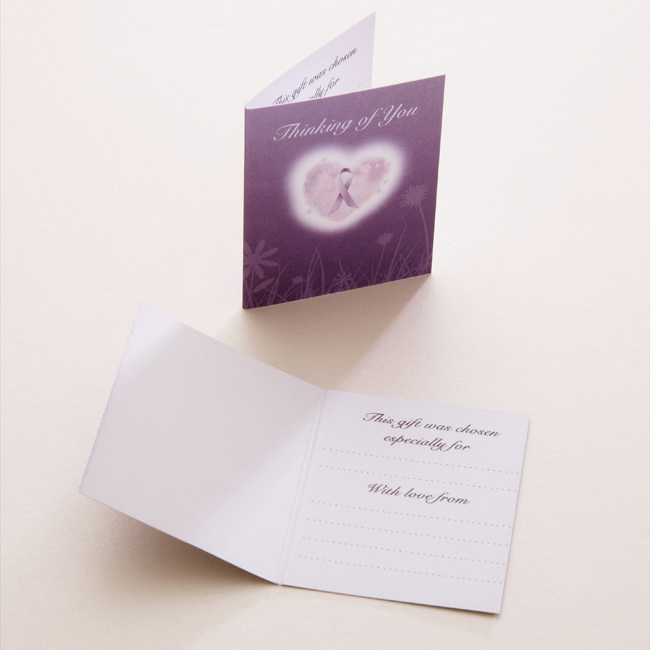 Ideal for adding special names, words, dates or messages. Presented in the gift box shown with the little gift card for you to personalise with your own special message. Our range of remembrance jewellery gifts is designed for offering comfort to someone who is grieving. Metal Parts: Stainless Steel heart, high quality silver plated other parts.